I am a sucker for great Mexican food, which can be tricky, because I’m deathly allergic to avocado. Guacamole fans normally gasp in horror when I tell them this, but I never grew up with guacamole and I’ve never found the look of it appealing, so I really don’t feel any loss. So, we make a lot of Mexican fare at home, for peace of mind. 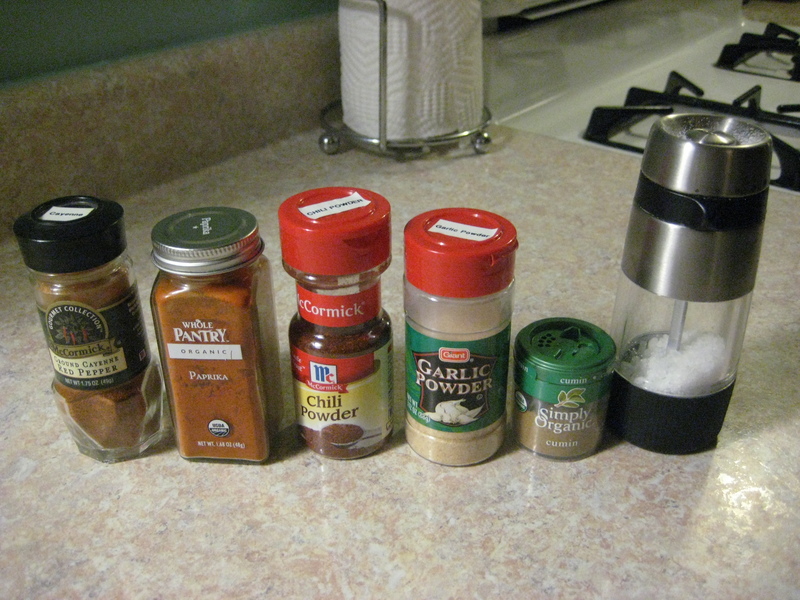 However, good Mexican food takes a lots of layering of spices and time to put it all together. I used to (in my new-to-cooking ’20’s) use the pre-mixed seasoning envelopes you can buy at the grocery store. And we all know that these are filled with not-good-for-you chemicals we can’t pronounce. 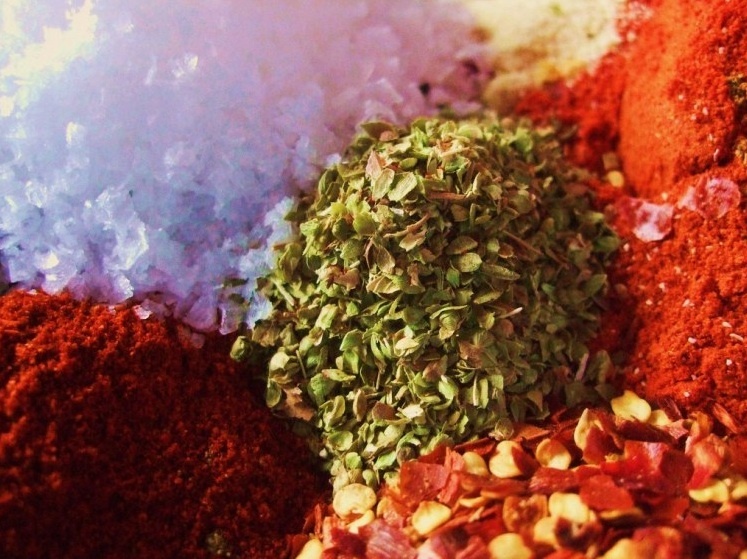 As I grew older/wiser, I searched everywhere to find a good spice combo that would work well and that I could assemble myself, allowing me to know exactly what was in it (Hint: No MSG!). 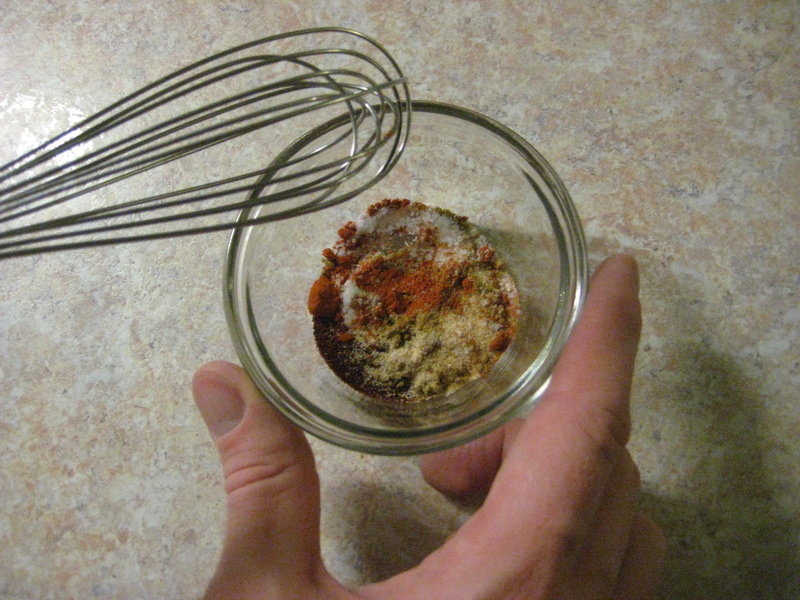 After much tinkering with measuring spoons, I finally adapted a recipe of my own that really works. I’d thought I’d share it today because it can make Mexican meals at your house faster and easier, too. 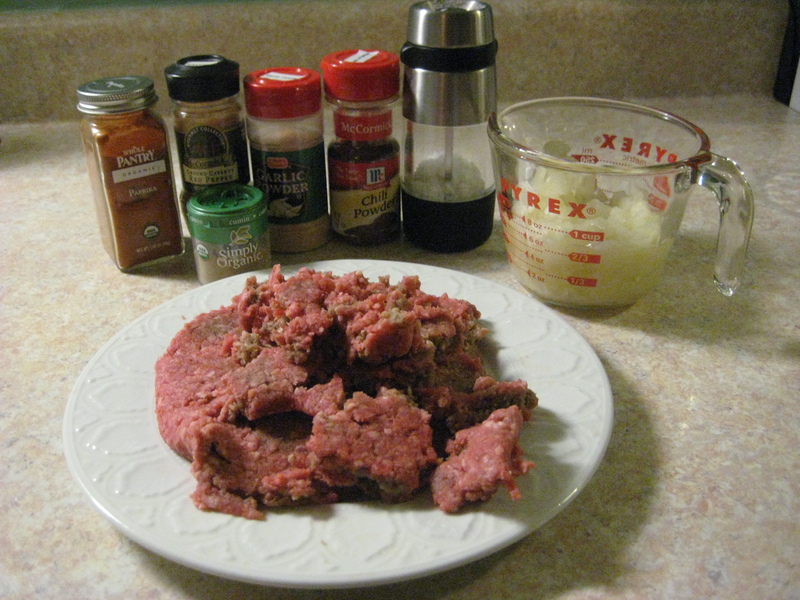 We cook batches of meat (ground beef, chicken tenderloins, sliced steak, etc.) with the spices in advance and freeze the meat. When we want Mexican food, we have only half a recipe to prepare. This means if we want tacos, dinner is on the table in as much time as it takes to wash and dice the produce. The same goes for fajitas, quesadillas, nachos and several baked dishes we love. Easy, satisfying and less work after a long weekday. 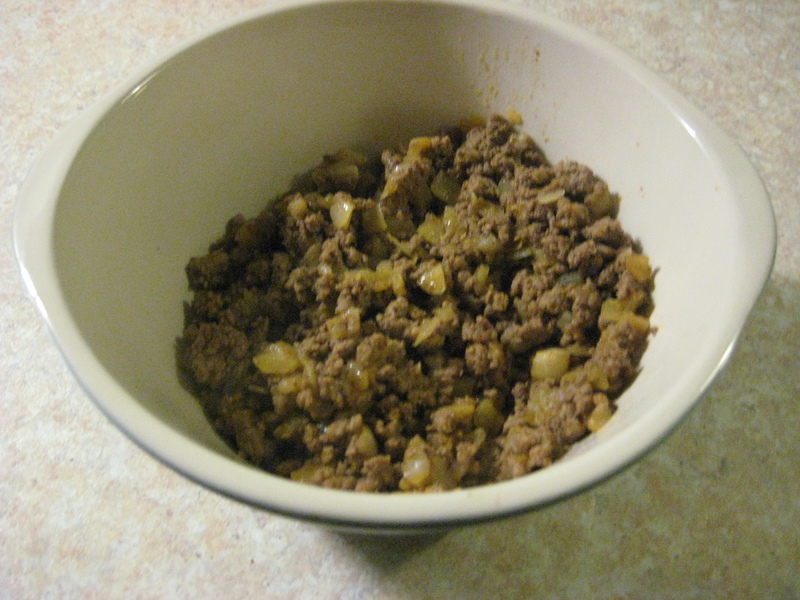 In a small bowl, mix first 6 ingredients well and set aside. In a skillet over med-high heat, brown the meat. 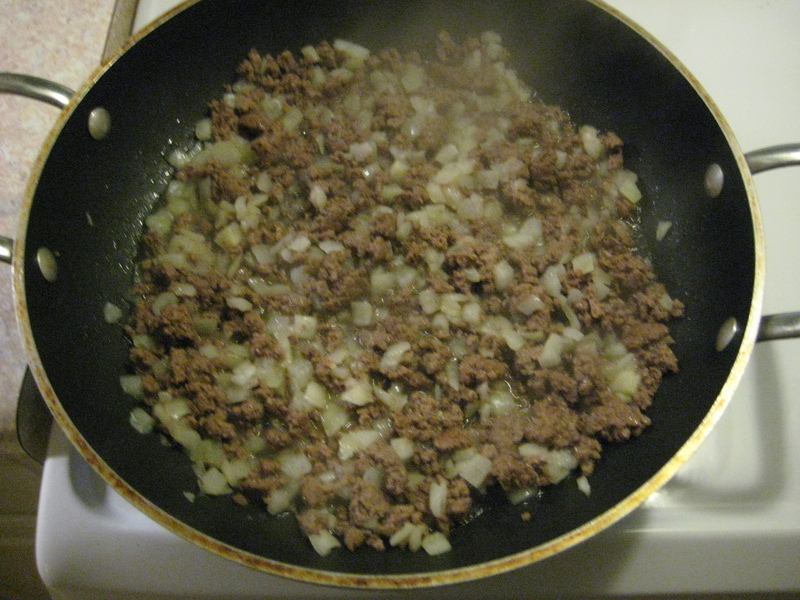 Add onions and saute with meat until meat is cooked through and onions are golden color. 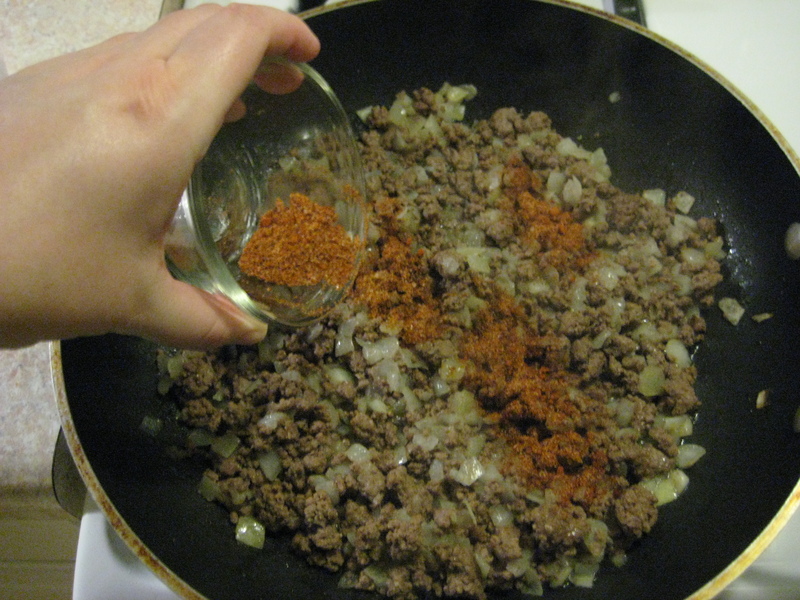 Add water to beef mixture then pour spices over meat. Mix thoroughly. Lower heat and allow skillet to simmer uncovered for 7-10 minutes, while water cooks off. Serve meat immediately or freeze for later use. We love the spice combination of this recipe, but you can always make it hotter by increasing the cayenne and chili powder or smokier by increasing the cumin a little. It’s very easy to adapt to any taste preferences. I have also used this recipe many times to make pot luck dishes very easy to assemble. I hope this recipe is helpful for your weeknight dinners like it is in our home. 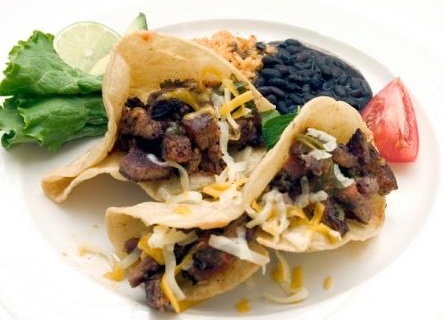 Mexican food with easy prep is always a great dinner here. Do you have any great tips for easy dinner prep? Leave a comment and share your knowledge! Looking for the giveaway winner post? It’s coming up this afternoon, so keep and eye out for it! 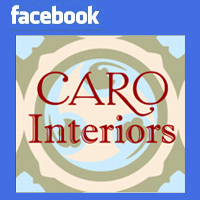 Did you know you can follow this blog by “liking” it on Facebook or “following” us on Twitter? just use the oh-so-familiar icons tucked into the header of this website. One simple click and you’ll never miss a post! Posted on September 20, 2011, in Food, Recipes. Bookmark the permalink. 2 Comments. This looks yummy. I’m sorry to hear about your avocado allergy. I wish I knew an easy food prep idea. I always love fish tacos when we go out, because it was such a bizarre idea to me at first. I grew up with only beef in tacos, sometimes chicken, but fish? I haven’t learned to make them really well, so I just get them when we’re out. Do you know of a great fish taco recipe? I have been searching for a great fish taco recipe, myself, Amie. I learned to love them when I briefly lived in San Diego years ago. All of the recipes I have found don’t seem to capture the saucy cabbage and lightly fried fish flavors I remember. Most of them seem so HEAVY! I’m still looking and I will share if I find a recipe like. Please send me a link if you find a good one, too! Anyone else out there have a great fish taco recipe they can recommend?